Thank you for your support to Creedmoor United Methodist Church. Because of your financial support and generosity, you have planted the seeds that will enable Creedmoor United Methodist Church to grow in our community, and provide a church home for you and others. Thank you for answering the call to contribute to God's work here at Creedmoor United Methodist Church. 2. We have an offering time during each service. 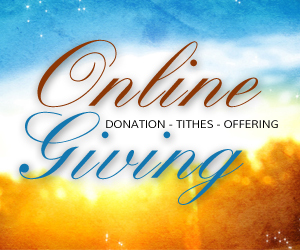 Click on the image above to go directly to our secure online giving site.